As we pass the trade deadline, we find ourselves at a very interesting point in the 2012-2013 NBA fantasy season. Now that we’re a bit past the halfway mark of this season, let’s take this moment to review the biggest surprises and major disappointments that we’ve come across this year. 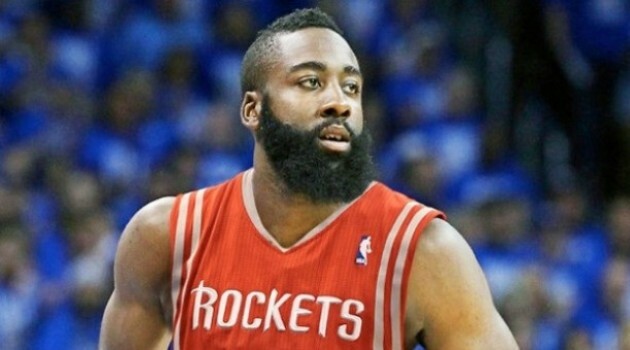 Fear The Beard! What else is there to say, this guy is an absolute beast. Harden is posting career highs across the board, averaging 26.1 points, 5.7 assists, 4.8 boards, 1.9 steals and .5 blocks per game. When The Beard got traded to the Rockets everyone thought his numbers would increase, but no one thought he would be a top-five fantasy player midway through the season. As long as he can stay healthy, big things will continue to come. Expect this kind of production nightly as Harden establishes himself as the third-best shooting guard in the league after Kobe and Wade. A pleasant surprise this year, Nikola Vucevic could be the steal of the 2012-2013 season. With an average draft position (ADP) of 171 in standard 12-team leagues, Vucevic was seen as a capable contributor in points, rebounds and blocks but not a top-10 PF/C. Vucevic has had four-plus games of 17 or more rebounds and has earned 32-plus minutes a game for the struggling Orlando Magic. Many people overlooked this piece in the blockbuster Dwight Howard deal, but it looks like Orlando got this one right. Paul George continues to amaze me. He has all the talent in the world, but seemed inconsistent at times last year for whatever reason. However, this year due to a blessing in disguise injury to Danny Granger, George has taken the next step in his long and talented career. Getting selected to his first of many all-star games this year, George is averaging 17.6 points, 7.8 rebounds, 4 assists, 1.8 steals and .7 blocks per game, all career highs. George is playing at such an elite level lately, rumors have swirled that Granger could be traded before the deadline. You know what they say, if it ain’t broke don’t fix it. What a year David Lee is having. Deserving of his all-star selection, Lee is averaging 19 points, 10.8 rebounds, 3.8 assists and just under 1 steal per game. More importantly he, along with Steph Curry, is a big reason why the Warriors are in playoff contention this year. This production wasn’t expected seeing as the Warriors brought Andrew Bogut and Carl Landry onto the scene this past offseason. Shooting over 50 percent from the field, while leading the league in double- doubles this year with 33 to go along with one triple-double, Lee will continue to dominate. With an ADP of 38 in standard 12-team fantasy drafts this year, Lee is a top-five fantasy player only behind superstars like Lebron, Durant, Kobe and Harden. Tony Parker is on his way to having a career year. Leading the Spurs to the best record in the NBA this year, there is no question the team has become his. Averaging 21 points, 7.7 assists, 3 rebounds and 1 steal per game, while shooting a career high 54 percent from the field, Parker is easily in the prime of his impressive career. In his past five games, Parker is averaging close to 30 points a game while maintaining that high field-goal percentage. He is the second-best point guard this year in fantasy scoring — only behind Russell Westbrook — and will continue to dominate as the Spurs cruise during the second half of the season. With an average draft position of 46, don’t be surprised to see Tony on a ton of championship winning teams this year. This is not the team the Brooklyn Nets envisioned after spending a ton of money in the offseason. Deron Williams looks out of sorts and uncomfortable, Joe Johnson seems to be playing better as of late, but has struggled the majority of the year figuring out how to adjust his game when he’s not the number one option and Gerald Wallace has fallen off completely. For being a top-10 pick in most league and being considered a top-three point guard last year, Williams has been nothing short of a major disappointment. Johnson’s efficiency has taken a major hit this year. Even though he is averaging about 17 points, 3 rebounds and 3 assists a game, Johnson is shooting 42 percent from the field, his worse average since his days in Phoenix. Wallace’s average draft position this year was 57th. He’s owned in only 50 percent of ESPN leagues and is averaging 8.8 points per game, his worst points average since his days in Sacramento. Good thing Mikhail Prokhorov has deep, deep pockets. Coming off his first all-star appearance last year, many thought that Hibbert would continue to excel in Indiana. Unfortunately, this year has been the exact opposite. Shooting a career-low 40 percent from the field, Hibbert has been really poor this year. The only reason why the Pacers are still a playoff dark horse is because of David West and Paul George. Hibbert’s ADP was 49th, putting him ahead of guys like Brook Lopez, Jrue Holiday and Joakim Noah. Can anyone say redraft? If anyone told me at the beginning of the season that Pau and Steve would be this disappointing I would laugh in their face for days on end. Pick and pop all day is what i envisioned pre-season, but man was I wrong. These guys will be hall of famers one day, but for some reason Mike D’Antoni’s system has been a damper on their production. At first I thought it was Kobe’s ball dominance, but after he transformed into Kobe Johnson, Nash’s production continued to struggle. Of course, Pau looked like he was coming into form, but then he got hurt. With average draft positions of 16 for Gasol and 40 for Nash, a ton of people thought this team would be championship bound, but now we will be lucky to make the eighth seed… someone call Phil. The Kings continue to be one of the most disappointing franchises in the NBA. After his rookie year, everyone believed Tyreke would turn the franchise around, but he continues to struggle with living up to those expectations. With an ADP of 52, Evans had some people believing this would be the year, but instead he is averaging a career-low in points and assists. At this point the Kings might be wise to trade him while he has some value and build the team around Demarcus Cousins.